Each family is unique, and that’s why Sterling offers so many different types of homes. We understand that the little details really can have a big effect. 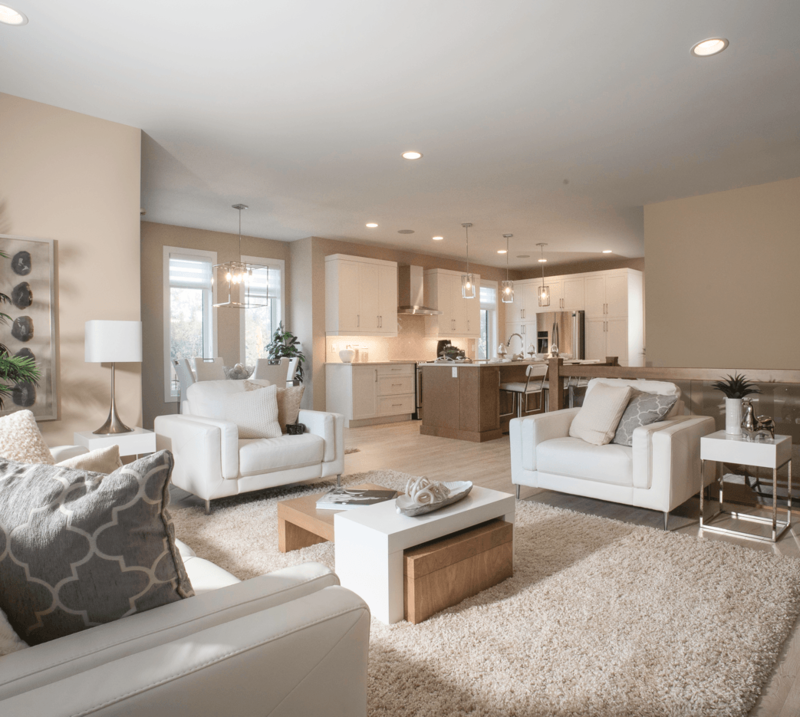 But what types of floor plan features does your family need? We’ve come up with a few features that tend to appeal to certain types of families. If you have a large family - think three or more kids or a multigenerational household - needing extra space is a given. You’ll want enough bedrooms for everyone, but don’t immediately discount floor plans that only list three bedrooms. Sometimes, a floor plan can be rearranged to include four bedrooms on the second floor, and most of our designs are able to include an extra bedroom in a finished basement. Additionally, look for homes that have a big mudroom at the entrance, preferably one with built-in shelving. When the family comes home, everyone can pile in and put their belongings in the right space. Walk-through pantries are also popular among large families. They tend to have more space than corner pantries, and it’s easy to put groceries away. You’ve got a lot going on, and you need a home that will work for you. Look for plans that will allow you to have a “command centre”. For some families, this is a small office area on the main floor. Others just like having space in the kitchen or mudroom to hang up the family’s schedule and other notes so that you don’t forget anything. Busy families also do well to incorporate a lot of smart tech into the home. For instance, if you’re going to be out later than usual, you may want to be able to override the thermostat schedule from your phone. Finally, look for plans that include a laundry room on the main floor or the second floor rather than the basement. It makes it a lot easier to throw a load of laundry in while you’re tackling other tasks. Some families just can’t get enough of each other and their friends. If this sounds like you, the popular open-concept floor plans are going to be really appealing. However, you might also want to find one that has a formal dining room option if you’re thinking about hosting a lot of holiday meals or big family gatherings. Look for floor plans that have additional hang-out spaces. Many of our designs include second-floor lofts and the option to have a rec room in the basement. You might even want to have a large patio for backyard barbeques. More and more people are starting to work remotely, and you need a quiet area that's free of distractions. While open-concept plans are quite popular these days, you can still find many designs that offer some quiet areas. For instance, you could look for a home that has a flex room on the first floor or a study nook on the second. If you value your quiet time away from work as well, consider looking for an extra-luxurious master suite. A large room set away from the noise of the rest of the home and a big bathtub for soaking the day’s stress away could be ideal for you. All of our floor plans include an ensuite bathroom, but if this is an important feature for you it may be worth looking into upgrading to a deluxe ensuite. Some floor plans even include a deluxe ensuite as a standard feature! Families who have young children tend to look for certain features. Stairs can be a big concern, and many people choose bungalow-style homes, though you may want to choose a plan that has a door to the basement. However, proper gates around the stairs of a two-storey home can allow you to have the large family home you want without worrying about the children’s safety. Many people are also looking for ways to keep the kids engaged. A first-floor flex room would make for a nice playroom while kids are still young. Parents with young children also tend to favour homes that have kids’ bedrooms close to the parents’ bedroom. Families with older kids might want to take a slightly different approach. Many want each child to have their own bedroom, and parents usually appreciate having the kids’ bedrooms located far away from the parents’ room to give everyone a bit more privacy. Older kids also like having their own hangout space, so you might look for a floor plan with a large bonus room on the second floor or consider finishing the basement to include a rec room. 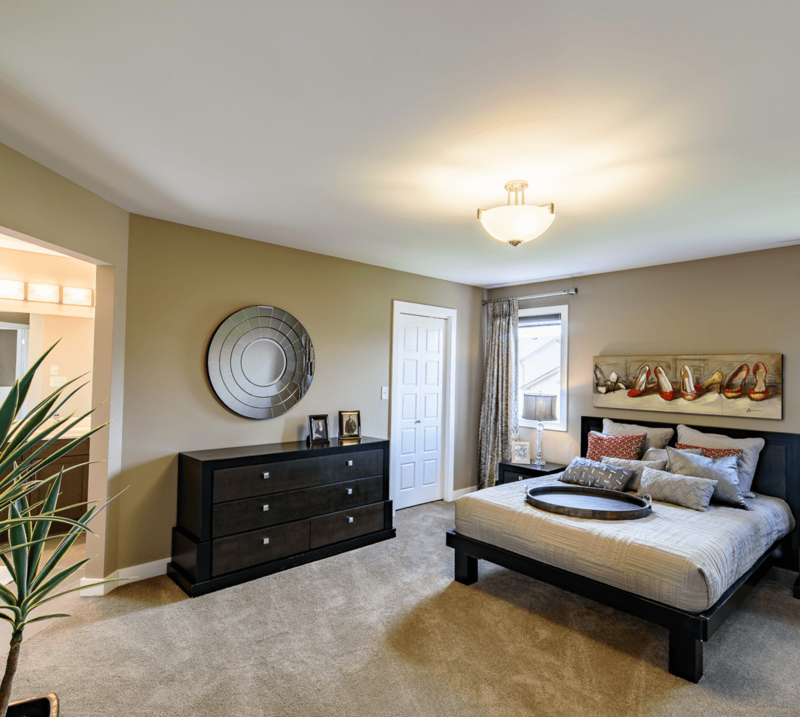 At Sterling, we have a floor plan that can meet your needs. 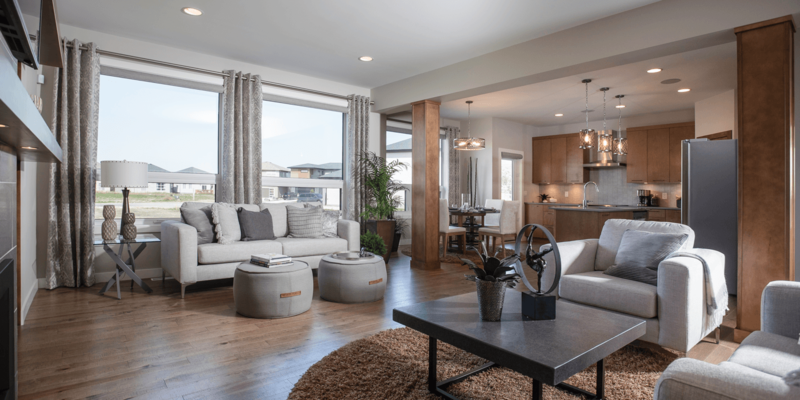 Come tour our showhomes to see what we have to offer. A New Home Sales Consultant can direct you to a floor plan that’s right for your family.